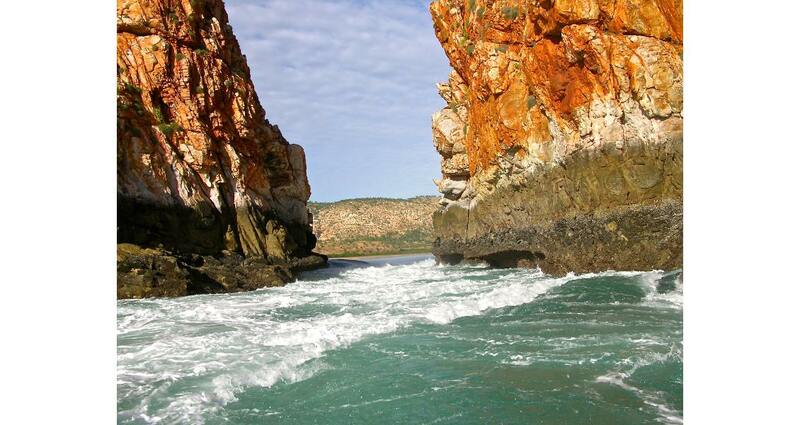 The Kimberley region of West Australia is probably one of the last great wildernesses in the world. It is the most northerly of the nine regions of the State of Western Australia and is bordered in the west by the Indian Ocean, in the north by the Timor Sea, in the south by the Great Sandy Desert and in the east by the Northern Territory. It is three times larger than England but has a population of less than 40,000 and was named after John Wodehouse, 1st Earl of Kimberley, who was Secretary of State for the Colonies in 1870–1874 and 1880–1882. The Kimberley Region showing simplified geology, the two major road trip routes and other features of interest. (Sources: dmp.wa.gov.au and Brisbane/Martyman) It is possible to see the Kimberley National Landscape either on an organized, guided expedition or by putting together a personalized itinerary for a self-guided tour. The best starting point for either option is Broome where flights arrive daily from Perth, which is Western Australia’s major city in the south of the state, or from other major Australian cities such as Sydney or Melbourne during the high season of April to October. The Kimberley region has numerous interesting features for both amateur and professional geologists, but also makes a great location for an adventurous and educational holiday, including for older children and teenagers. The map opposite shows just some of the locations that visitors are encouraged to include in their trip, such as Broome, the Horizontal Falls and the Kimberley coast, Fitzroy Crossing, The Gibb River Road, the Purnululu National Park (a World Heritage Site), which includes the Bungle Bungles and Lake Argyle, to name but a few. A trip of around 10–12 days is probably enough time to get a taste for the area but a return trip will almost certainly be necessary to see this fabulous national landscape in its entirety. 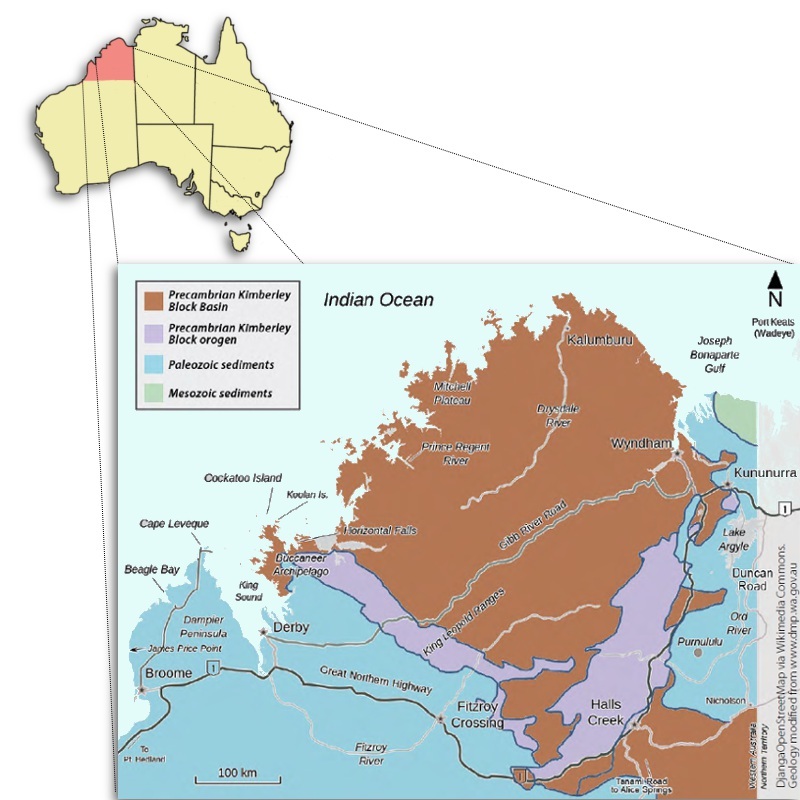 Geologically, the majority of the area comprises the Precambrian Kimberley Block, which is part of the larger West Australian Shield and is composed of ancient, 2.8 to 3.5 billion-year-old, molten rock that has cooled and then solidified. Sedimentary rocks are exposed around the edges of the basement and largely comprise Devonian barrier reef system deposits that formed before the sea level dropped in this area. Stunning outcrops can be seen in several places on the Gibb River Road trip, including Windjana Gorge and Geikie George. Aerial view of the Kimberley coastline. 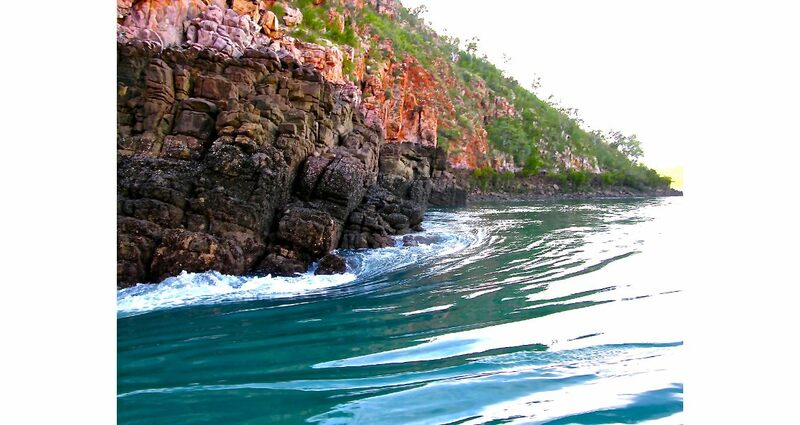 (Source: Mark Tompkins) The Kimberley coastline is of particular geo-heritage significance as it is a spectacular example of a large-scale ria coast with a near-shore archipelago. As this coastline is located in a largely unspoiled wilderness setting, sedimentation and depositional processes are continuing as they have done for centuries, uninhibited by man’s interference. 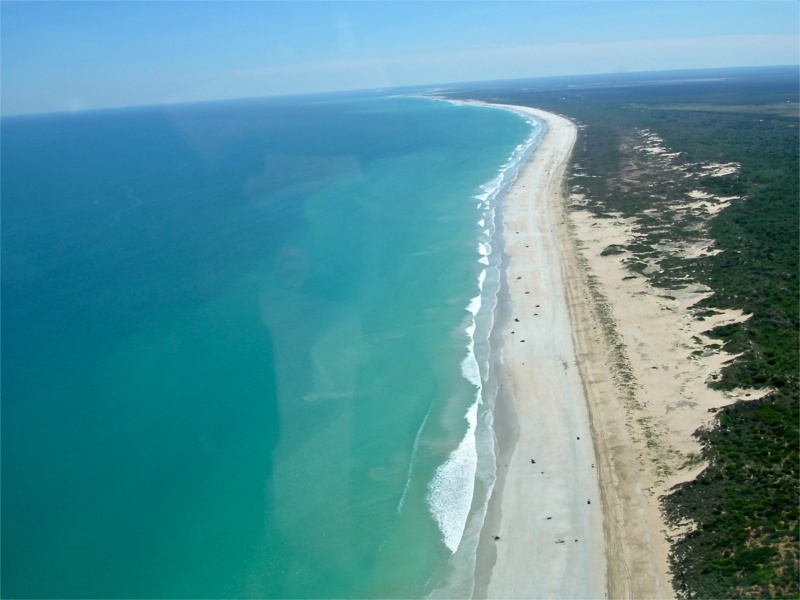 It is however possible to take either a boat or a plane excursion from either Broome or Derby to see this pristine coastline. A flight from Derby can also take you over the Lalanggarram/Horizontal Falls Marine Park, an area which has been recently created as a new marine park jointly managed by local indigenous people and the Western Australian Department of Parks and Wildlife. This marine park is contiguous with another new marine park, the North Lalang-garram Marine Park. 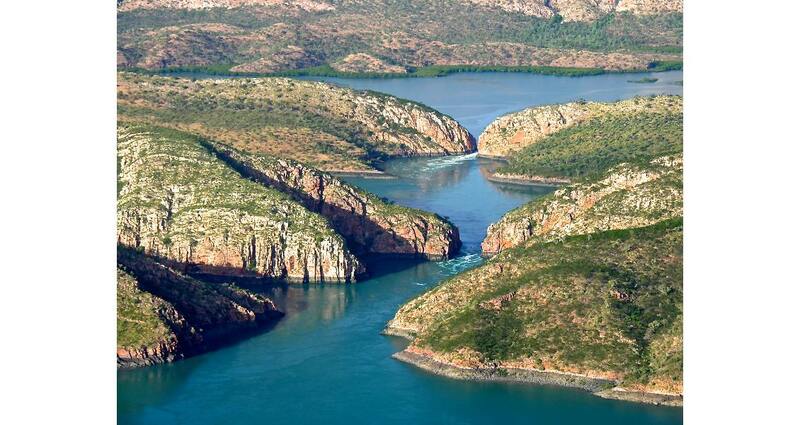 There are only two 'horizontal falls' landforms in the world and both can be seen off the Kimberley coast at Talbot Bay in the Buccaneer Archipelago. 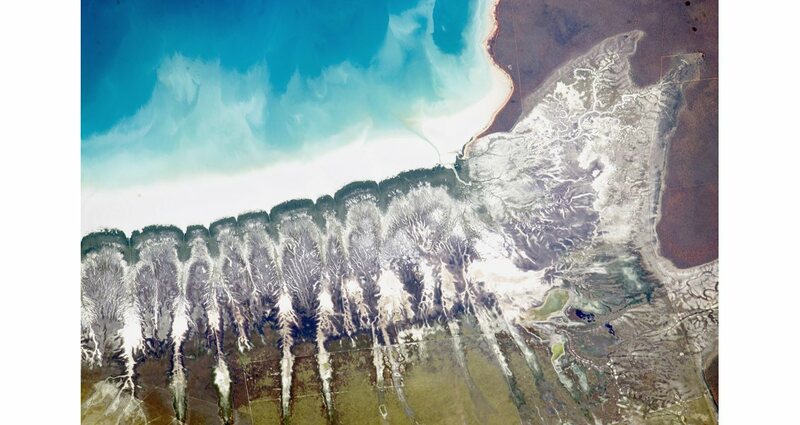 These ‘waterfalls’ are horizontal as a result of some of the largest tidal movements in the world. As the tide ebbs and flows so a huge volume of water is forced through two narrow cliff passages, which causes a variation in ocean level of up to 4m and produces this unique phenomenon. 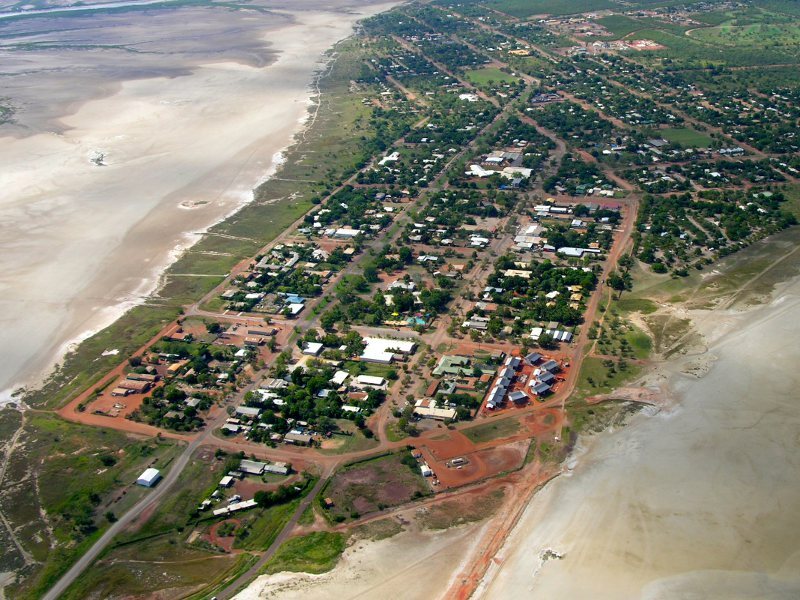 Broome is the gateway to the Kimberley region and is only 2.5 hours flight from Perth. It is known as ‘the pearl of the north’ as it is home to one of the largest commercially harvested cultured pearl industries in the world. This business was started in the 1800s with Japanese, Filipino and Malay pearl divers arriving there to seek their fortunes, which has contributed to the multicultural nature of Broome still seen today. The town boasts over 20 km of magnificent white sand beach, Cable Beach, which takes its name from the telegraph cable laid between Broome and Java in 1889 that connected northern Australia with the rest of the world. 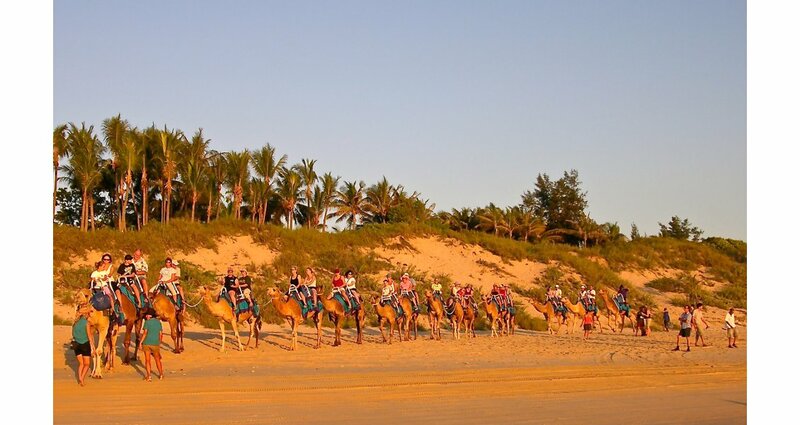 Camel rides on Cable Beach are an exhilarating experience, while the ‘Staircase to the Moon’ is a fantastic site if you are lucky enough to see it. This natural phenomenon occurs when the full moon rises over the exposed tidal flats of Roebuck Bay, creating a beautiful optical illusion of a stairway reaching to the moon, which happens two or three days a month between March and October. Of particular paleontological interest and a great day trip from Broome is a visit to some of the Cretaceous dinosaur footprints that are found at various points up and down the Kimberley coastline. 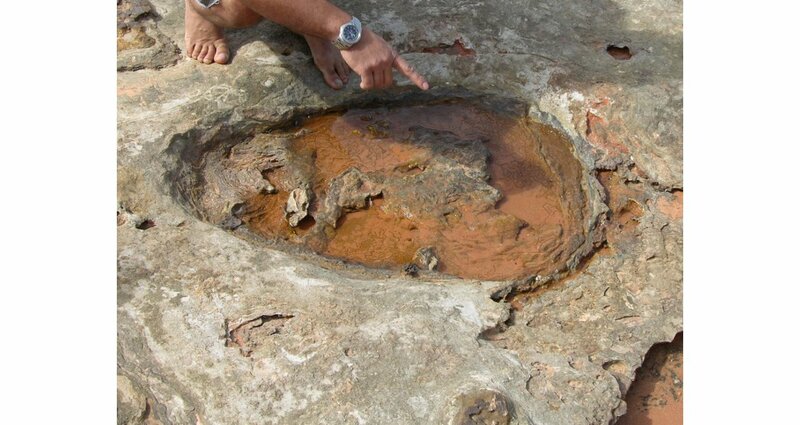 A 30-minute hovercraft ride with an experienced guide will take you to see some of these prints, which were left by large sauropods roaming the area around 130 million years ago. The most recent footprints were found in September 2016 on Cable Beach itself by a family on a beachcombing outing. Aerial view of Derby. (Source: Mark Tompkins) Driving inland from Broome, Derby and the Kimberley coastline, there are two main self-drive routes. 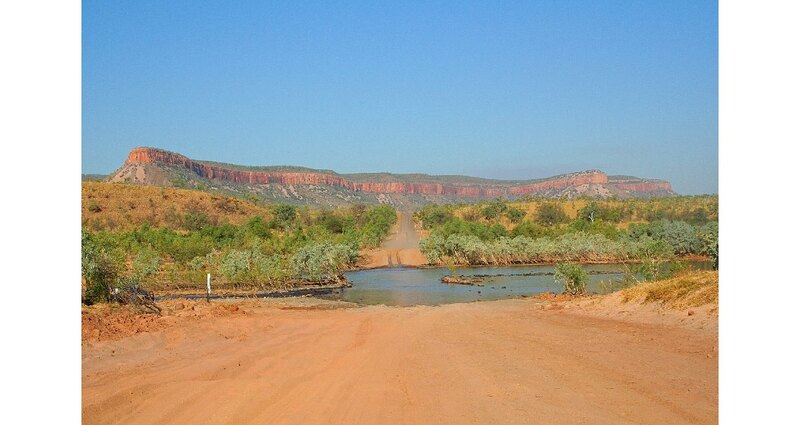 The first is the Gibb River Road from Derby to Wyndham or Kununurra. This is a four-wheel drive adventure that takes approximately eight days, depending on how often you stop and detour to see many of the natural wonders along the way. The driving conditions are challenging and the trip must be either very well planned in advance or else taken with a reputable guide so that everyone ends up safely at their destination. Setting off from Derby, this drive will first take you through Windjana Gorge National Park and the Napier Range via Tunnel Creek, which was once used as a hideout by the Aboriginal leader, Jandamarra. The trip continues through various gorges to the Leopold Range Conservation Park. After five or six days driving you will arrive at the El Questro Wilderness Park, which is a working cattle station and vacation destination where you can rest and relax prior to your arrival in Wyndham. The second option is to take the Great Northern Highway (Highway 1) from Broome to Kununurra via Fitzroy Crossing, Halls Creek and the World Heritage listed Purnululu National Park including the Bungle Bungles. This is around 800 km of driving with numerous opportunities to stop or take detours to see the sights en route. Fitzroy Crossing is on the floodplain of the fertile Fitzroy River downstream from the Geikie Gorge National Park and south of the Gibbs River Road excursion described above. Not far from the Crossing is the spectacular Geikie Gorge, part of the 350 million-year-old Devonian reef system cropping out on the south side of the Precambrian Shield. Halls Creek is on the edge of the Great Sandy Desert and is the closest town to the Purnululu National Park, listed as a World Heritage Site in 2003. It is also where the world’s second largest meteorite crater is located at Wolfe Creek. 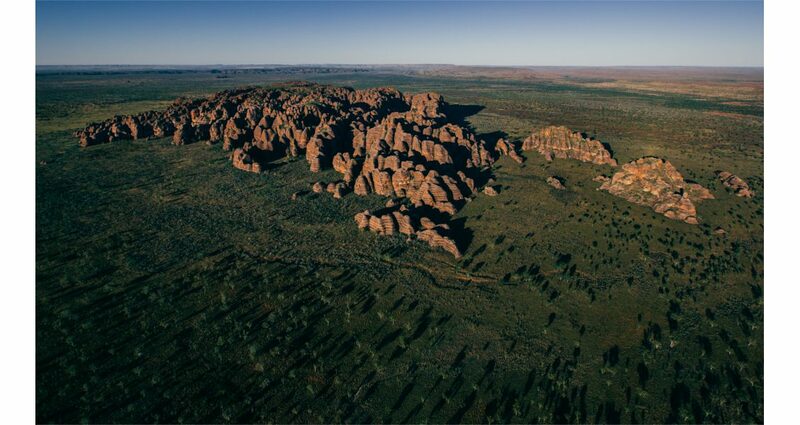 Also found within this National Park is the Bungle Bungles range, which was formed over 360 million years ago when rivers flowing from the north-east deposited Devonian sand and gravel. At the same time, gravel was eroding from nearby mountains and added to this fluvial deposition. The result seen today was the formation of spectacular banded beehive-shaped domes that represent what is left of this onceflat land surface. The Bungle Bungles have always been important to the local indigenous population and it was not until 1983 that their presence was advertised to the public at large, making them a popular tourist destination for adventurous visitors. A most informative booklet in the Bush Books series titled Geology and Landforms of the Kimberley Region, published in 2005 by Ian Tyler, can be obtained from the Western Australian Department of Parks and Wildlife. From the Purnululu National Park, it is possible to drive still further north to Lake Argyle and then to the town of Kununurra, before Highway 1 heads east out of the Kimberley Region of Western Australia and into the Northern Territory. Created by the Ord River Dam, Lake Argyle is the biggest manmade lake in the southern hemisphere and at its peak holds around 32 MMm3 of water (about 20 times the volume of Sydney Harbour). Cruises can be taken on the lake that is home to many different plants and animals including some 240 species of birds. No matter which of the two roads you choose to travel, your journey through the Kimberley landscape will likely end either at Kununurra or Wyndham. Kununurra was established by the Ord River Irrigation Scheme and is the second largest town in the Kimberley region. Wyndham is the Kimberley’s oldest town and was established in 1886 as a result of the Halls Creek Gold Rush. Both towns have regional airports from where it is possible to return to Perth. The winter months of June, July and August are the peak seasons for tourists to visit the Kimberley Region. The summer months, especially November, can be extremely hot, while December and January can be very wet, the latter being the cyclone season when there is a high risk of flooding on the highway and many roads may be closed. The input of Alan Briggs and Professor Ross Dowling OAM, Western Australia-based members of the Geotourism Standing Committee of the Geological Society of Australia, is recognized with appreciation. Geology and Landforms of the Kimberley Region by Ian Tyler, WA Naturally Books, 2005. Australia’s ‘Big Red’ Centre by Angus M. Robinson and Christine Edgoose GEO ExPro Vol. 13, No. 2. Inspiring and educating future geoscientists is vital to ensure that innovation in Earth science can continue. The Rotunda Museum in Scarborough in the UK, as well as being the world's first purpose-built geology museum, emphasizes geoscience learning with interactive exhibits and 'hands-on' events. Snuggled in against the south-western coast of Africa lies the Namib Desert, one of the driest and oldest deserts on Earth – but life abounds in this seemingly desolate environment.